Phishing attacks are hard to stop because hackers are extremely sophisticated and they use every method available. What hackers have discovered is that one of the best methods available is to target mobile devices. As challenging as it is for users to identify well-constructed phishing emails on a desktop, it’s much more difficult on mobile devices and hackers know it. And they’re starting to take advantage of it. One phishing attack against mobile devices is so good, it fools almost everyone who encounters it because it doesn’t look like a phishing attack at all. This new form of phishing is a type of clickjacking which incorporates an invisible link. The invisible link is covered by a “bothersome” graphic element that’s made to look like a small hair or a speck of dust. This tricks the user into wiping the hair or dust off the mobile’s screen which activates the link and launches a connection back to a rogue website. Humans are no match for these advanced phishing techniques targeting mobile devices. If enough people at your organization receive one of these emails, someone’s going to get phished. The only chance you have to protect your users is to deploy cloud-based phishing protection with real-time link scanning. Unlike humans, link scanners aren’t fooled by misleading and hard to read links. All they see is the underlying HTML code, and there’s no way to fool a link scanner with that. And the protection must be cloud-based. A cloud-based link scanner sits between the mobile device and the malicious website. That gives it a chance to check and block the email before it ever reaches the client’s mobile device. Phishing attacks are hard to spot on mobile devices. If you’re a small business on a limited budget, but you’d still like to be protected from advanced phishing techniques like these, there’s good news. You can now get advanced phishing technology at a price that fits your budget. 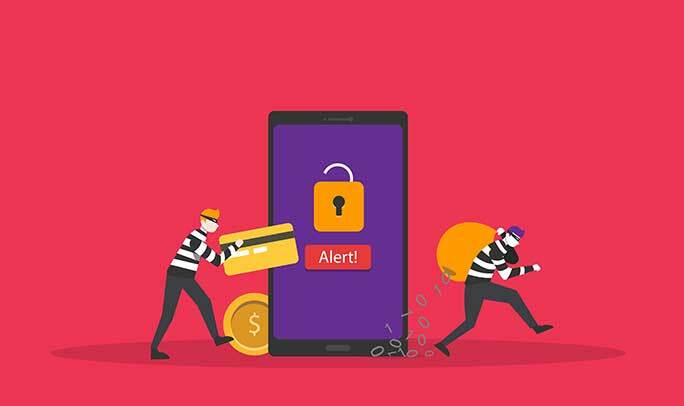 To learn more about how PhishProtection can protect your small or mid-size business from phishing attacks, including those specifically targeting mobile devices.